Ross on the Road to Indy Scholarship Shootout. 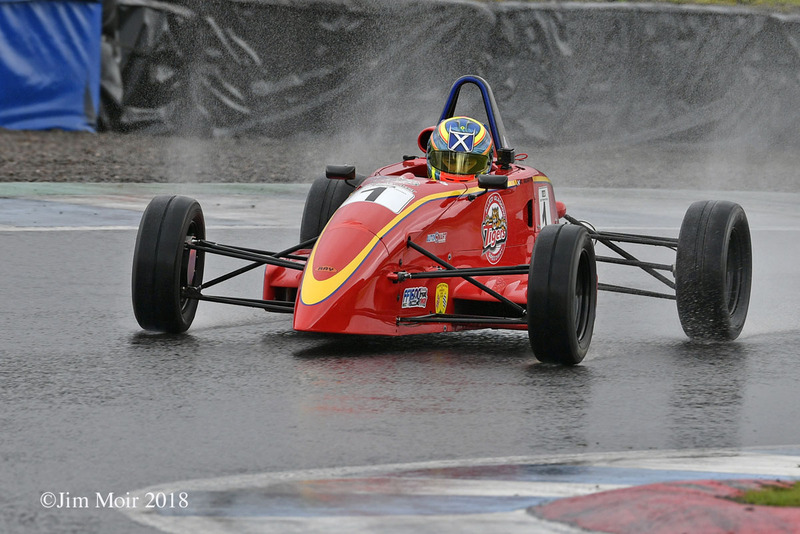 Heavy rain overnight made for trying conditions on Sunday morning, the painted kerbs and Knockhill’s still-new tarmac added to the difficulties. Times continued to tumble as drivers got to grips with the slippery track. Ross would ultimately achieve pole, beating Jordan Gronowski by 0.764 seconds. Ahead of the race it looked like there was a dry line forming, however this was not to last. With lights about to turn green the heavens opened to drench the track and drivers. It was decided to start the race under a safety car- Ross later proclaimed he had never seen the spray from a safety car like it. As the safety car left the track the getaway was timed to perfection – dropping fellow front row man Jordan Gronkowski. It was clear the confidence had in his car – 12 laps later the lead was 12 seconds. A dominant victory in the rain and mathematically taking the championship title. 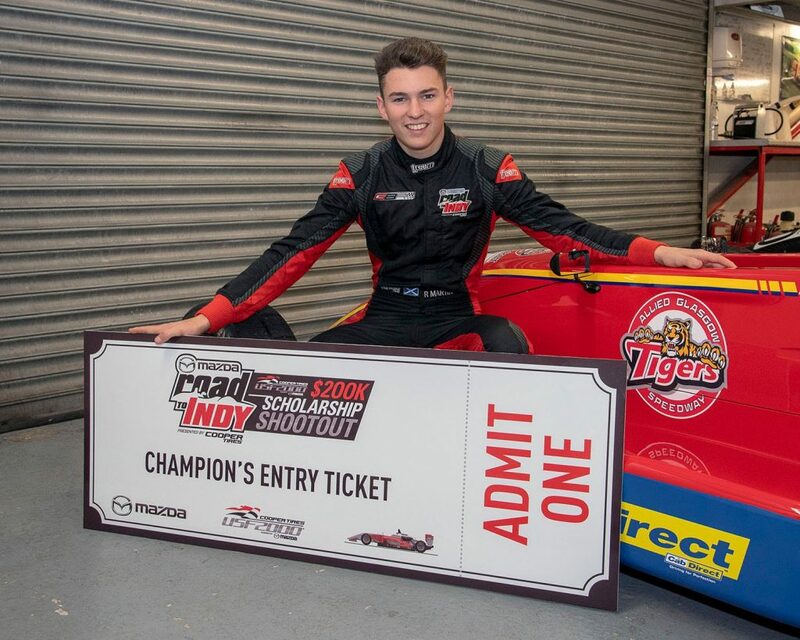 In an interview with FF1600 website, Ross explained his goal was a 100% win rate.